Teachers are the most important determinant of the quality of schools. We should be doing everything we can to help them get better. In recent years however, a cocktail of box ticking demands, ceaseless curriculum reform, disruptive reorganisations and an audit culture that requires teachers to document their every move, have left the profession deskilled and demoralised. Instead of rolling out the red carpet for teachers, we have been pulling it from under their feet. The result is predictable: there is now a cavernous gap between the quantity and quality of teachers we need, and the reality in our schools. In this book, Becky Allen and Sam Sims draw on the latest research from economics, psychology and education to explain where the gap came from and how we can close it again. 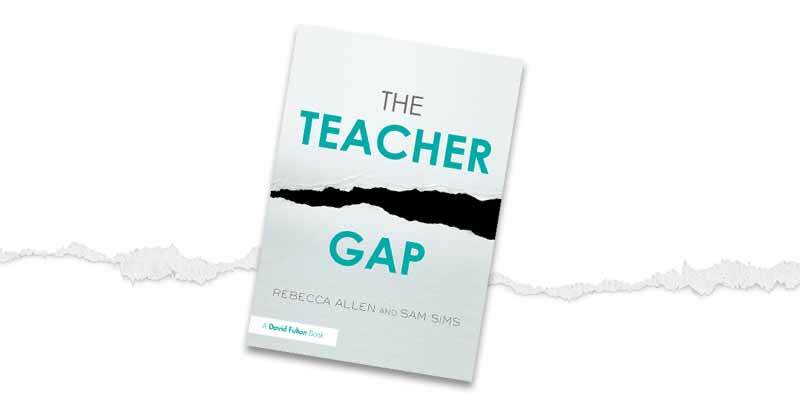 Including interviews with current and former teachers, as well as end-of-chapter practical guidance for schools, The Teacher Gap sets out how we better recruit, train and retain the next generation of teachers. At the heart of the book is a simple message: we need give teachers a career worth having.